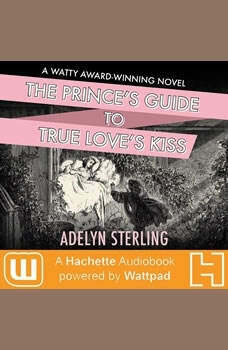 THE PRINCE'S GUIDE TO TRUE LOVE'S KISS is a new release from Hachette Audiobooks: Powered by Wattpad - an innovative collaboration between Hachette Book Group and Wattpad. Your favorite online stories, now available in your headphones!A hapless prince must wake a cursed maiden with True Love's Kiss by his eighteenth birthday in order to start his regency. Lucky for him, every princess in the realm seems to have fallen under a curse of eternal slumber... but Prince Benedikt can't seem to wake any of them.He has kissed fourteen maidens when he sets out on what he hopes will be his final quest.With dark threats looming, and people questioning his ability to rule, Benedikt must team up with a band of misfit mercenaries, and their beautiful captain, to find princess number fifteen, and hopefully his True Love.